A customer picks up a box of packaged Korean pork from a vending machine at local convenience store chain CU on Thursday. 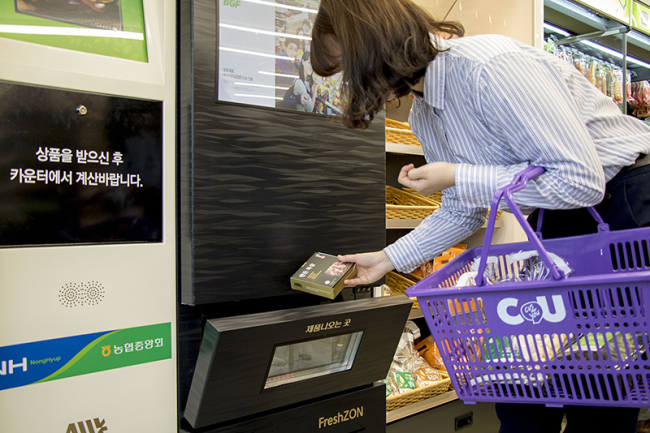 In collaboration with Nonghyup and telephone company KT, CU said it has invented a “CU Internet of Things smart vending machine” which offers freshly packaged Korean beef and pork. Each box contains 300 grams of meat which is economical and convenient for single-person household, CU said.